Dream Halls is on the Reserved List. 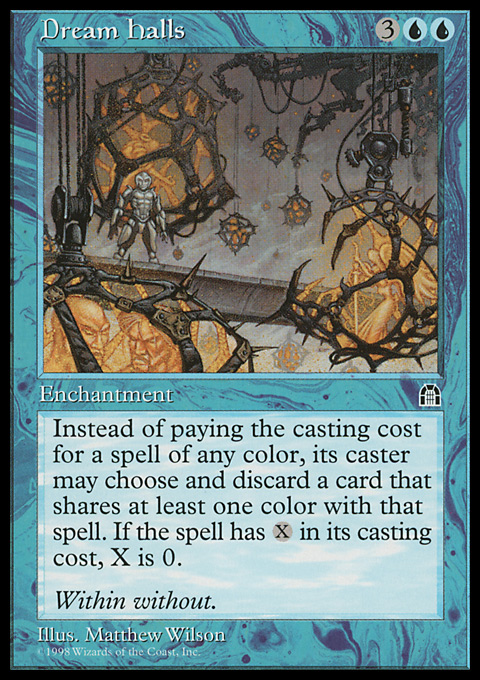 2004-10-04 This only replaces the mana cost (the mana in the upper right hand corner of the card). It will not pay additional costs from the card text (such as Buyback) or from other effects. It does not prevent you from paying those additional costs if you want or need to.